Just a quick post today. 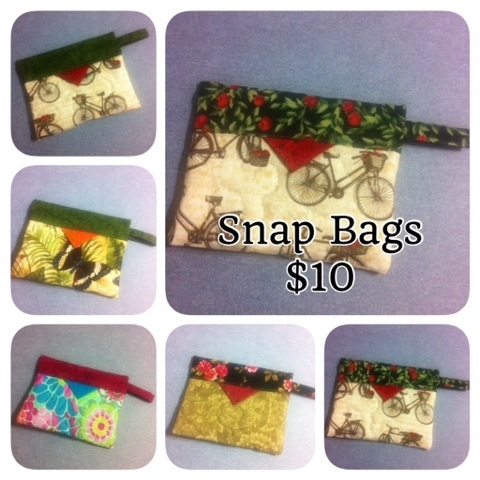 I always find that I do better at craft sales if I have some smaller items on my table so this year I've been making snap bags. 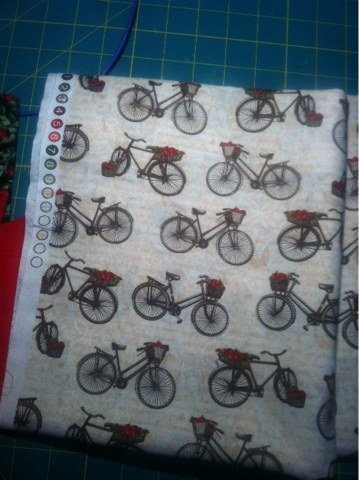 I bought this bicycle fabric specifically for the bags, but I will have lots left for something else. 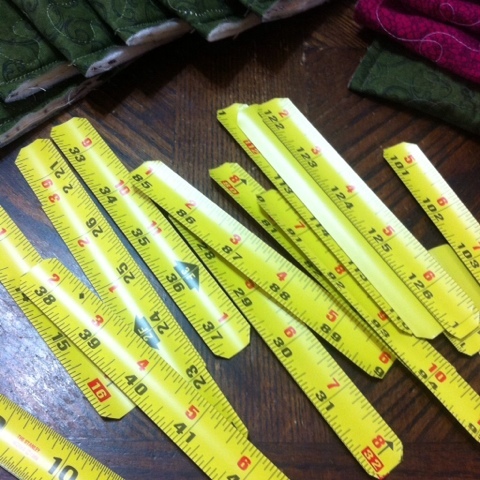 And I needed to buy a tape measure as it wouldn't do to deprive my husband of a proper measuring tool in his shop. This is the final result. Whatever is left after my 2 craft sales will be listed in the Etsy shop.